You are here: Home / Personal Finance / How Will You Generate Income In Retirement? How Will You Generate Income In Retirement? How are you planning to generate income in retirement? The first thing that comes to mind for a lot of people will be Social Security. That’s OK, but most people will need to have more than that if they want to retire comfortably (and there are those who are concerned that at least some of those benefits may not be there for future retirees when the time comes). Other people might be looking forward to pension income, though that’s less common than it used to be. 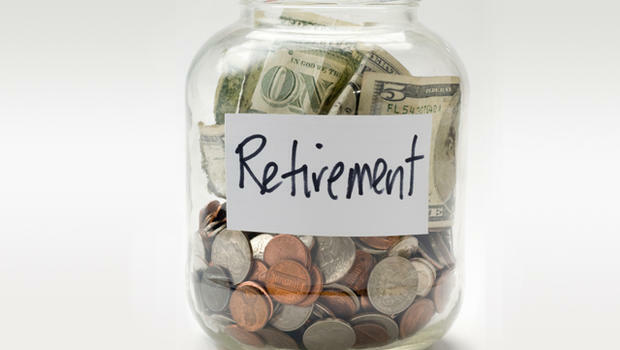 It’s useful to step back and take stock of the various potential sources of retirement income. Certain sources have more to recommend them, and certain asset class combinations will work better for some folks than others due to the assets’ risk profile, tax characteristics, and other qualities. A recent Bloomberg story quotes a chief investment officer at Credit Suisse saying that treasury yields at 3.5% would pull people out of stocks and into fixed income. As we’re writing this, the 10-year Treasury yield is on the rise and the highest it has been since 2011 at nearly 3.1%. Nobody knows for sure which way treasury rates are going, but those rates are worth paying attention to, for a few reasons. First, higher interest rates almost surely would lead to poor performance for bellwether retirement equity investments, such as those in the utility and telecom sectors. (More on this in a bit.) Second, a risk-free interest rate would be tough to ignore at some level as a source of income in retirement. We would probably put that level at around 4% (after all, why get a bond paying less than 4% when you can buy stocks that pay more than that and have been boosting the payout annually for 20 or 30 years? ), but that will vary by individual circumstance and risk tolerance. Not that treasuries are the only way to get interest income, of course. The best proxy for junk bonds, the iShares iBoxx $ High Yield Corporate Bond ETF (HYG), yields 4.7%. The investment-grade version (the iShares iBoxx $ Investment Grade Corporate Bond ETF (LQD) is around 4%. We mentioned utilities and telecoms earlier. These kinds of firms are generally big dividend payers. As such, when interest rates rise, their stocks often sell off, as suddenly there are other, less volatile sources of income–bonds–that compete with those dividends. Now, if you are able to make ends meet on dividends alone (or close to it), the volatility may not matter. Stocks can bounce up and down and all around, but the dividends will keep coming (and even growing) regardless. In fact, when stocks are down, it could be time to consider adding to those holdings, assuming the companies’ businesses are still sound. You may not be able to get to a place where dividends are your main source of income. But counting on dividends for some portion of retirement income makes sense for a lot of retirees. The year-in-year-out nature of the payments (for a lot of companies), the potential for growth in those payments, the potential for capital gains on the shares, and, not least, the taxes (which are 0% on qualified dividends for a lot of people) all add up to a compelling income source. By definition, at retirement, full-time employment income stops, and it’s probably time to start spending down on all that money you saved over the years. That’s hard for a lot of people to get their heads around. After all, it means making a complete 180-degree turn to what you have been doing for probably decades. So that’s worth thinking about in advance and preparing for. If seeing that balance dwindle each year is a concern, you might want to start conservatively on how much you plan to take out each year. It used to be a 4% drawdown rate was considered safe for most traditional retirees, but that’s no longer conventional wisdom. You might run some scenarios that target something closer to 2% or 3% and see if that allows you to sleep at night. As with so much in retirement planning, though, much will depend on individual circumstances and sources of income. Someone with a solid pension and low living costs will probably need to take less out of their principal than others. Rebalancing your portfolio isn’t controversial, though reasonable people can disagree about how often it should be done. Rebalancing refers to the simple concept that, over time, a portfolio of investments will have winners and losers, and the initial (presumably target) asset allocation–this much in growth stocks, that much in short-term bonds, and so on–will get out of whack. So, periodically, a portfolio needs to be put back into whack. What’s not mentioned as often is that it’s possible to think of rebalancing as a source of income as well. Retirees could keep the piece that is a long-term gain and use it for living expenses, and still rebalance to the optimal asset allocation. The obvious problem here is that markets don’t just go up; they go down too, sometimes for quite a while. So there’s an unpredictability to this source of income that makes it too undependable to be a core source of income for a retiree. But it is a source, and one that’s sometimes overlooked. In the end, which sources you depend on for retirement income will come down to risk tolerance, personal preference, luck (at least a little bit helps), and how diligent you have been about saving through your working years. Knowing what those potential sources are and planning on how you might use them will take some of the surprises out of the process, and help make retirement go more smoothly.